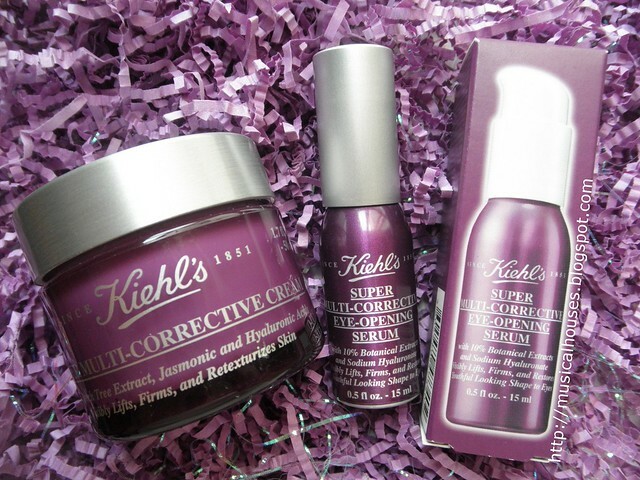 Kiehl's latest skincare product is the Super Multi-Corrective Eye-Opening Serum, part of the "Super Multi-Corrective" range. Kiehl's claims that this product is "formulated with botanically-derived Rhamnose and Sodium Hyaluronate to lift, firm, smooth, hydrate, and restore youthful shape of the eye", so I guess that's what Kiehl's is referring to when they call this an "eye-opening" product. 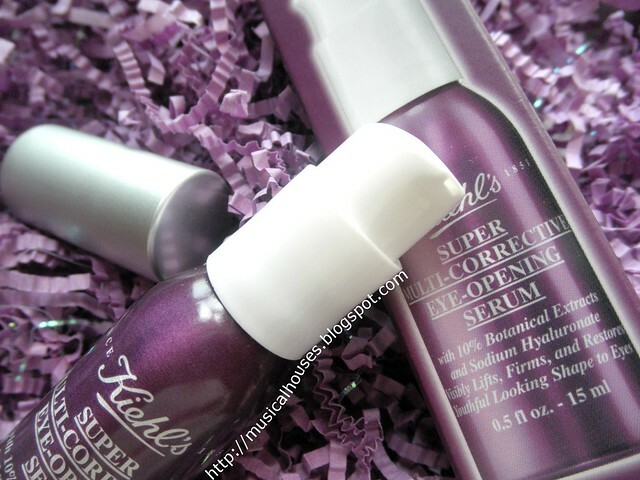 Kiehl's Super Multi-Corrective Eye-Opening Serum is an accompaniment to its Super Multi-Corrective Cream, and both are packaged in little purple-and-silver packaging. Kiehl's also recommends that you can use the two together, if you want. For some reason I thought I had a review of the Kiehl's Multi-Corrective Cream up on my blog (I mean, I do have quite a few Kiehl's skincare reviews up), but it turns out I don't, much to my chagrin, so I'll definitely be reviewing that further down the road. But in any case, first things first, and I'll just look at the Super Multi-Corrective Eye-Opening Serum for this post. 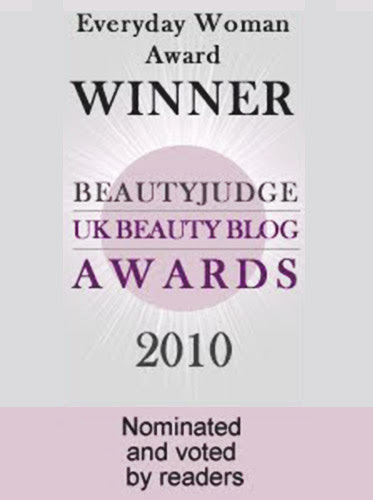 And as you might know, first things first with a skincare review always means going straight to the ingredients list! Let's take a look at the ingredients list, and see what it tells us about the formulation (with all the fancy Rhamnose and Sodium Hyaluronate in it). Kiehl's has actually been pretty honest and accurate as far as ingredients and marketing go for this product. Sometimes companies often make claims of having certain ingredients that are there in only very minute amounts that are unlikely to be effective (the telltale sign of this is where the featured ingredients appear way at the bottom of the ingredients lists, or after the fragrance or preservatives). Fortunately, for the Super Multi-Corrective Eye-Opening Serum, the two advertised ingredients are in the first few ingredients: Rhamnose is the second ingredient, and Sodium Hyaluronate is 8th on the list (although just before the preservatives). Kiehl's also makes the claim that this product is "Paraben-free, mineral-oil-free, fragrance-free, colorant-free", and from the ingredients list, this seems to be fairly accurate, although, as I've written before on my blog, I personally don't have a problem with parabens, because they're actually safe in the concentrations found in cosmetics. But if this matters to you, then it's nice to know that the marketing is honest with the Super Multi-Corrective Eye-Opening Serum. So, what exactly do Rhamnose and Sodium Hyaluronate do? The simple answer is that they're both humectants - ingredients which draw water into the skin (another classic example of a good and commonly-used humectant is Glycerin, which is also listed as the third ingredient in this product). This helps to improve the moisture levels in the skin. We're all familiar with Sodium Hyaluronate, thanks to all the hype going on in Asia about Hyaluronic Acid (particularly with Hada Labo's "one drop locks up an ocean" marketing), but Rhamnose is interesting - it's actually a form of sugar, but in cosmetics is used as a humectant. So with some of the main ingredients being Rhamnose, Glycerin, and Sodium Hyaluronate, you know this will be a fairly light but hydrating product. According to a Kaden Biochemicals, supplier of the ingredient, Rhamnose can also have anti-aging benefits, although I couldn't find any published research on that (it could mean that Kaden or L'Oreal have done their own research and have chosen not to publish it - which is not that unusual if for some reason the company decides to retain that for intellectual property reasons). The closest I could find was a statement by L'Oreal Group (the parent company of Kiehl's) mentioning that "Rhamnose has been proven to stimulate Derm Source activity, leading to rejuvenation of the dermis and epidermis simultaneously". Searching for any other info in the absence of hard science, I found that Paula's Choice also stated in one of their Facebook posts that Rhamnose has "cell-communicating benefits", so I gather somewhere, someone must have found some benefit from Rhamnose, although I don't really know what exactly. Interestingly though, L'Oreal Group has also used Rhamnose in its other brands beyond Kiehl's, so evidently L'Oreal believes that Rhamnose must have some effect on the skin. 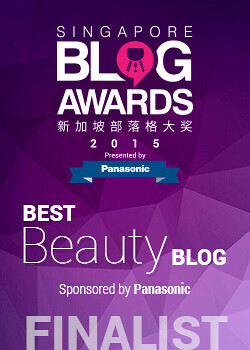 Previous products include YSL's (Yves Saint Laurent) Forever Youth Liberator line, which includes Rhamnose in the YSL Forever Youth Liberator Serum, the Forever Youth Liberator Eye Cream, the Forever Youth Liberator Eye Zone Serum, and the Forever Youth Liberator Night Cream (although judging from the position of Rhamnose halfway down the list, probably not in as high concentrations as the Kiehl's Super Multi-Corrective Eye-Opening Serum, with the possible exception of the Night Cream). Another notable example of this is the Vichy LiftActiv line with Rhamnose 5%, which also targets anti-ageing concerns with a 5% Rhamnose as a feature ingredient. L'Oreal has also expanded Vichy's Rhamnose-based products with the Vichy Liftactiv Serum 10 Technologie Derme Source, which has 10% Rhamnose for good measure. So there you go - evidently Rhamnose is a pretty interesting ingredient. Rhamnose, Sodium Hyaluronate and Glycerin aside, the other main ingredients are Alcohol Denat., Dimethicone, Hydroxyethylpiperazine Ethane Sulfonic Acid, Octyldodecanol, and Mica. Dimethicone is a silicone, which provides slip and a nice texture to the product, while Octyldodecanol is an emollient with emulsifying properties. Mica provides shimmer to the product (for a greater "eye-opening" effect), while Hydroxyethylpiperazine Ethane Sulfonic Acid is a buffering agent used in adjusting the pH of the product. So that rounds up the product's ingredients, with the exception of Alcohol. I've mentioned Alcohol before in various product reviews (lotion, toners, moisturizers, anti-acne products, anti-aging products, sunscreens, primers, the Kiehl's Ultra Facial Oil-Free Range and their Oil Eliminator range), and I have (I think) a fairly balanced view towards alcohol in skincare products: I've said it before, but my general belief is that alcohol is a useful penetration enhancer, and thus useful for getting active ingredients into the skin, and can also help to thin out products that may otherwise be very thick and difficult to use. But at high amounts, alcohol can be drying, so it isn't for all skin types. In the Super Multi-Corrective Eye Opening Serum, Alcohol is listed as the fourth ingredient, which may be a bit too high for the comfort of some people, but given that Water, Glycerin and Rhamnose probably make up quite a large percentage of the product, the actual percentage of alcohol may not be very high. I guess some people's skins would be able to tolerate it, and some people's skins won't - sometimes you just have to try it out and see what your comfort level is! 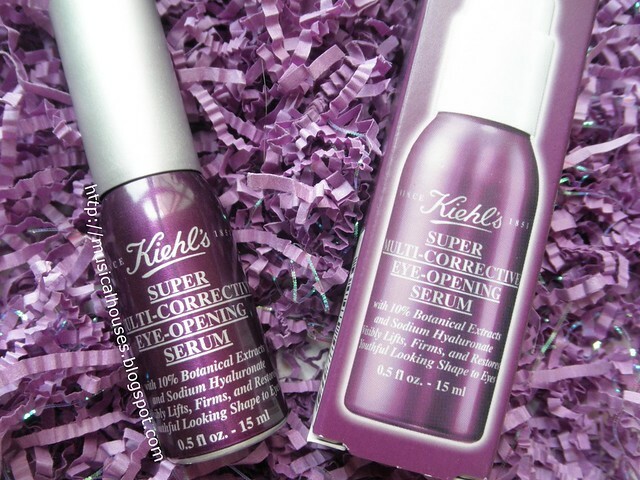 And sure enough, my experience with the Kiehl's Super Multi-Corrective Eye-Opening Serum reflected the ingredients of the product. With a heavy use of humectants (Glycerin, Rhamnose, Sodium Hyaluronate) and not that many emollients (Dimethicone, Octyldodecanol), and the presence of Alcohol Denat. as a thinner/penetration enhancer, I expected the product to be a thin, light one, and sure enough it was. I see now why Kiehl's calls this a serum rather than an eye cream, because it is a very lightweight, almost lotion-like product, rather than the thick creams we are used to seeing eye products come as. When I applied it to my skin, I found it to sink in fast, leaving no residue at all, and surprisingly, despite the alcohol content, it didn't irritate my skin or dry it out at all. So while some people may be cautious about the alcohol content, I personally found that for me it wasn't a concern. That said, the skin around my eye is pretty normal, being neither too dry nor too oily. When a product is very high in alcohol content, it does have some reaction on my face (typically a drying sensation), so this leads me to speculate that the amount of alcohol in this product probably isn't too high. Looking at the formula, I'm guesstimating that the percentage of alcohol could be as low as under 10% even. That said, your own personal reaction to the product would also depend on your own skin type. Overall, when I used the product, I felt like over time, it did improve the appearance of my eye area, so I think this did work for me. 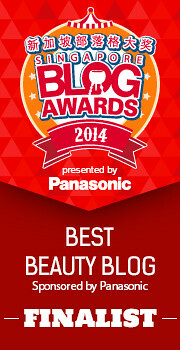 It was also easy to use, being so lightweight, and works well under my sunscreen and makeup too, which is a plus. So, would I recommend this product? While it personally worked well on me, and while I think the formulation is interesting (if you believe Rhamnose does have good benefits when used topically), I'm always aware that some people may be sensitive to certain ingredients in the product, like Alcohol in this case. While my own experience with the product leads me to believe that the alcohol content is pretty low (or at least, low enough to not cause any dryness in my own normal eye-skin), I'm aware some people may still be cautious about it. Alcohol aside, though, I think this product has several things going for it, particularly the fact that it is indeed "paraben-free, mineral-oil-free, fragrance-free, colorant-free", which while not a concern for me personally, would definitely appeal to consumers for whom those things are a concern. I think if you don't have concerns over the alcohol content, and are in the market for a super-lightweight, hydrating eye cream/serum, then this would be worth checking out. The Bottom Line: This is a lightweight eye serum that features Rhamnose and Sodium Hyaluronate, making lightweight and hydrating, and would be good for those which don't object to having some alcohol in their product. Hmmm...interesting. This seems like a good product to try out. I love the formula and what it can do. I'm in awe of your ability to analyse ingredients to determine the worth of a product. I was thinking of purchasing the Verso Eye Serum which contains the following ingredients:Aqua, Butylene Glycol, Glycerin, Heptyl Undecylenate, Squalane, Caprylyl Methicone, Diethylhexyl Carbonate, Dimethicone, Ammonium Acryloyldimethyltaurate/VP Copolymer, Retinyl Retinoate, Tetrahydrodiferuloylmethane, Tocopheryl Acetate, Hesperidin Methyl Chalcone, Canola Oil, Curcuma Longa Root Extract, Sodium Hyaluronate, Tetrahydropiperine Steareth-20, Dipeptide-2, Palmitoyl Tetrapeptide-7, Phenoxyethanol, Caprylyl Glycol, Potassium Sorbate, Parfum. 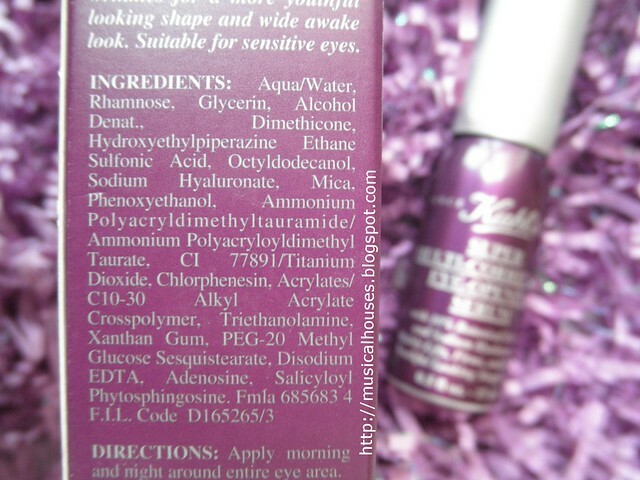 Do you think this eye serum is good quality?